The McNicholas High School podcast, The McNick Minute, has released a special episode for a worldwide podcast competition from Rode Microphones. The club was tasked with creating a 1-2 minute podcast on any topic and submit it for both judging and worldwide voting. In this very special episode the podcast crew takes a new turn by creating a narrative story titled, "Finding Bretland." This episode is meant to pay homage to one of the voices you have heard consistently over the past ... Más informaciones year and half, Patrick Bretland. Patrick has played an integral part in The McNick Minute crew, and has truly created a place in the hearts of all the members of the podcast. 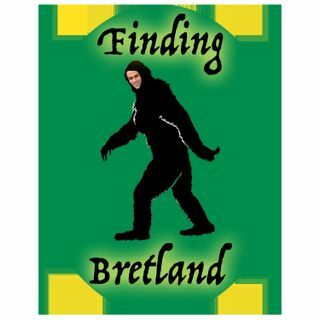 Based on the television show "Finding Bigfoot" Patrick takes on a new life as the mythical creature, The Bretland. Host Ian Rose takes us on a wild adventure with Emily "Sarge" Sarge, in finding and capturing the mythical Bretland. Please take a moment to visit: https://www.rode.com/myrodecast/listen/entry/648 and cast your vote. Logging in via Google or Facebook may be required to vote. We hope you enjoy the episode!